Are you leaving school next summer, or do you know someone who is? 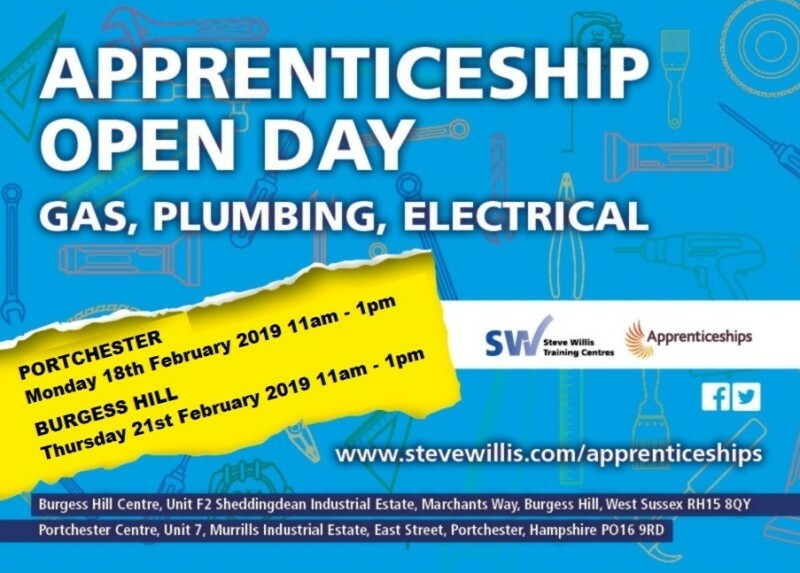 An apprenticeship with Steve Willis Training is the perfect way to start your career in the Gas, Plumbing or Electrical trades. We're holding Open Days during the February half term next year at our Burgess Hill and Portchester Training Centres, so save the date!